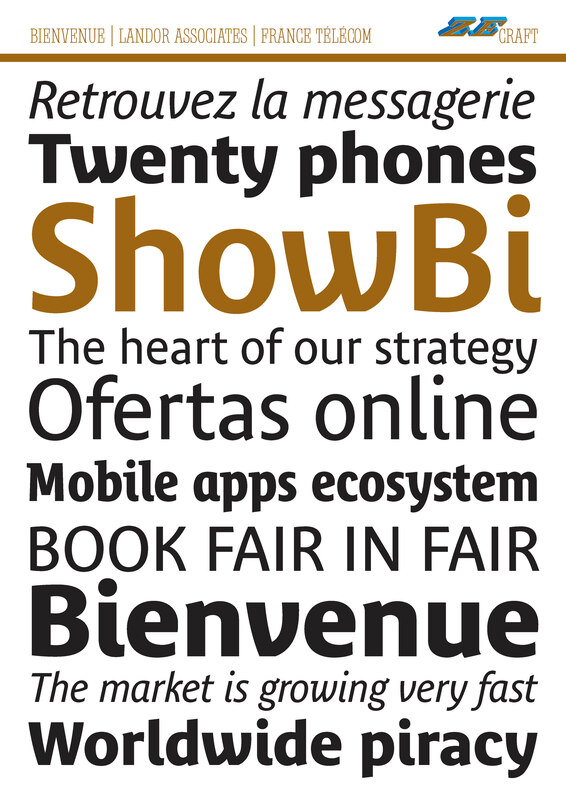 Bienvenue is an exclusive corporate typeface we’ve designed for France Telecom, the leading French telephone & internet company. The new family was developed in conjunction with Landor Associates, who redesigned the corporate identity. It is intended for use in all France Télécom communication and advertising. The typeface features a family of 4 variations plus a brand names font, a semiserif titling font & a picto font.